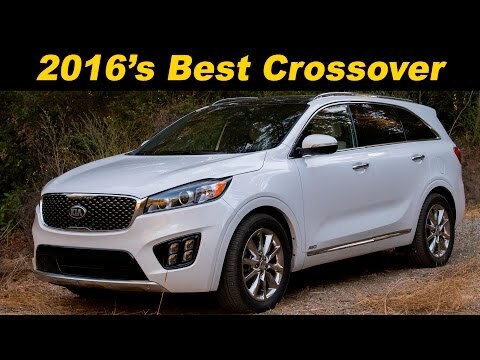 The 2017 Kia Sorento midsize SUV packs value, good looks, a load of amenities and one of the best warranties in the business. Fresh off a revamp, this 5- or 7-passenger crossover SUV is slightly smaller than rivals like the Toyota Highlander and Ford Explorer, but is easy to maneuver and starts at a lower price. That it is a smooth riding relatively quite vehicle. I like driving this vehicle as it is an SUV which sets me up higher so it is easier to see what is around me. I like having the ability to put the back seat down to load up the vehicle. It is a smooth riding relatively quiet car. I also like that it has a physical key to open/close the doors (by pushing on the key fob) and start it. I do not like the push button start vehicles. I've actually walked away from a vehicle with the push start while the car was still running. I also have trouble locking the car that has the push button because of my inability to figure out where on the door handle to touch. Then when I pull the door handle to test that it is locked, the vehicle unlocks. So I like my vehicle that has an actual key to start it and push the key fob to lock it with a good loud horn to let me know the car is locked. What I don't like, and this goes for most cars these days, is all the "stuff" you have to learn about it. I just want a car with four wheels, a steering wheel, electric windows, a/c and heat, a radio, electric mirror adjustment - just the basics. I don't even know what a lot else the vehicle has and don't have the time to go thru the big book that came with it. Purchase the Kia Sorento for: safety. Comfort. Style. This 2017 Kia Sorento is the best vehicle I have ever owned. It is solid. The lx model has front wheel drive, and 6 speed automatic transmission with overdrive. It is equipped with am/FM/cd/mp3/Sirius XM Audio system, android auto & apple carplay. Not to mention the amazing 4. 3"color touch Audio display. Sure cannot beat the rear camera display and the rear parking assist system. I am in love with the surround view monitor and the blind spot detection system, sure does not hurt to have that extra pair of eyes. It also has the advanced smart cruise control for those nice long trips. It almost drives itself with the lane departure system and forward collision warning system. That will get you everywhere safe, especially with the Bluetooth wireless technology hands free connectivity-now that says a lot these days. Steering wheel mounted Audio hands free phone what a great safety feature. And in case you need the USB auxiliary input jack and USB 2. 1 charger port its there. I especially love its a 7 passenger vehicle and the seats go down if you need that extra room when purchasing an oversized item. Another best part is the heated front seats, love it in the winter. The sleek and satisfying Sorento! The Sorento rides so comfortably - you cannot feel any of the road bumps and I often have to catch myself with my speed because it is so quiet. The seats are extremely comfortable and storage in the back is plenty. The Sorento has a sleek design and very appealing to the eye. The interior is very easy to keep clean and has a protective layer on the seats if you spill it just wipes off. The line of vision in the car is impeccable and the size of the front and back windows makes it easy to see, the stereo system has a good sound and with the CD player you can listen to anything. There is plenty of room in the back seat for passengers as well as in the front for your co pilot.